What do you get when you combine two of the most talented fiddle and bluegrass players in one room? You get a unique evening of Songs & Storiesrarely found outside of Nashville, TN. A person who knows fiddle like the back of his hand, Grandmaster Fiddler Matt Combs joins singer/mandolin/guitar player Scott Simontacchi for the Southwest Michigan Symphony Orchestra’s second Casual Classics Concert Songs & Stories on Thursday, July 12th at 6pm at the Heritage Museum and Cultural Center in St. Joseph, MI. Credited with many achievements that include fiddler and mandolinist for America’s longest running radio show The Grand Ole Opry, member of the Rayna James band from the hit show Nashville, 2012 Grandmaster Fiddler champion, and Adjunct Professor of Fiddling at Vanderbilt’s Blair School of Music, Matt Combs is highly regarded in the bluegrass and fiddle community. He has teamed up with John Hartford, Jimmy Martin, Ray Price, T Bone Burnett, Dan Auerbach, Don Was, Steve Gibson, and Buddy Miller. He also toured with legendary singer and country music icon Reba McIntire. Scott Simontacchi has such a wide range of talents it’s hard to pick just one. As a singer, songwriter, photographer, actor, mandolin and guitar player, he keeps very busy in Nashville. Also a member of the Rayna James band from the TV show Nashville, he has additionally performed with Matt Combs, Ralph Stanley, Travis Tritt, Ricky Skaggs and Robert Earl Keen. Scott’s most recent project, Sheriff Scott and the Deputies, are about to release their second album featuring fiddle player Preston Schmidt, banjo player Robert Trapp and upright bass player Sam West. Tickets for the performance are $35 and can be purchased online at www.smso.org, by calling the SMSO office at 269-982-4030, or by stopping in at the office at 513 Ship Street, St. Joseph. Ticket pricing includes a light summer supper and wine. The concert series is being dedicated to the memory of Priscilla U. Byrns. TICKETS available online at www.smso.org , by calling our office at 269-982-4030 or in person at 513 Ship Street, St. Joseph, MI 49085. Program includes a mixture of bluegrass, country and original pieces on fiddle, guitar and mandolin. Matt is a 20 year veteran of the Nashville music scene. 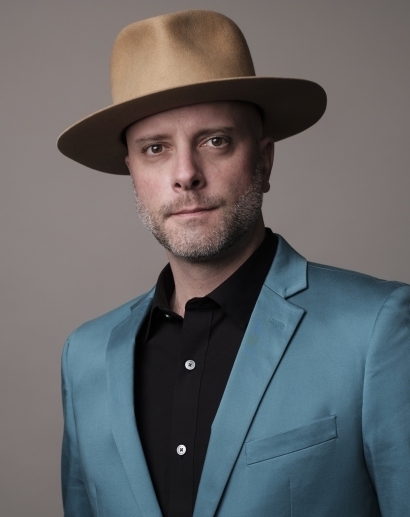 Since moving to Nashville after graduating with a Bachelor of Music from the University of Michigan, Matt has played with many of the best singers and players in country, bluegrass and old time music—including 11 members of the Country Music Hall of Fame. Matt’s accomplishments include playing with John Hartford, Jimmy Martin and Ray Price, being staff fiddler for the Grand Ole Opry’s house band, being nominated for a Grammy, and winning the 2012 Grandmaster Traditional Fiddle contest. He currently maintains an active recording schedule, adding his part to productions by T Bone Burnett, Dan Auerbach, Don Was, Steve Gibson, Buddy Miller and many more. Matt also toured with legendary singer and country music icon Reba McIntire. Matt’s Television work has included appearances on “Late Night with David Letterman,” “The View,” “Nashville,” and other musical specials on ABC, PBS, and CMT. 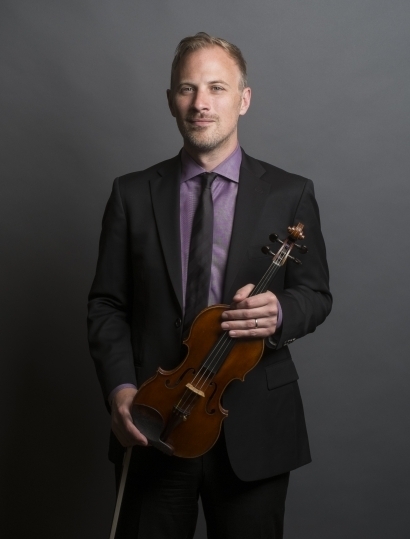 In addition to his busy playing schedule, Matt maintains his position as Adjunct Instructor in Fiddling and Violin at Vanderbilt University’s Blair School of Music. Matt’s most recent work includes new songs written with guitarist Rachel Combs, produced by Dave “Fergie” Ferguson and recorded at Dan Auerbach’s Easy Eye Studio for their summer 2018 debut album. In 2000, Scott Simontacchi arrived in Nashville by way of South Carolina with The Biscuit Boys. He recorded two solo albums – Segue and Before the City Wakes – before embarking on stints as an actor and professional photographer. It all started with a passion for singing at a young age. Later, that passion branched out and attached itself to many other things: mandolin, guitar, songwriting, magic tricks, photography, and acting. Scott’s powerful tone and wide range seem inspired by Sinatra, while his songwriting reflects his admiration for storytellers such as Bob Dylan or Leonard Cohen. In addition to a strong background in these genres, there is an undeniable bluegrass element to his creations, especially when listening to his mandolin and guitar playing. Scott has shared the bill with the likes of Sam Bush, Del McCoury, Travis Tritt, and Ralph Stanley. He has also made numerous appearances on the hit TV show Nashville as a musician in the Rayna James Band. His most notable experience, however, was a day spent eating chili and playing music with John Hartford. Scott’s most recent project, Sheriff Scott and the Deputies, are about to release their second album. The Deputies include fiddle player Preston Schmidt, banjo player Robert Trapp, and upright bass player Sam West. The Symphony is only able to perform these concerts with support from our community. While that support takes many forms, we are particularly grateful to our sponsors for this concert: Southwestern Michigan Tourist Council, Vivi’s Italian Garden and The Flour Shop.